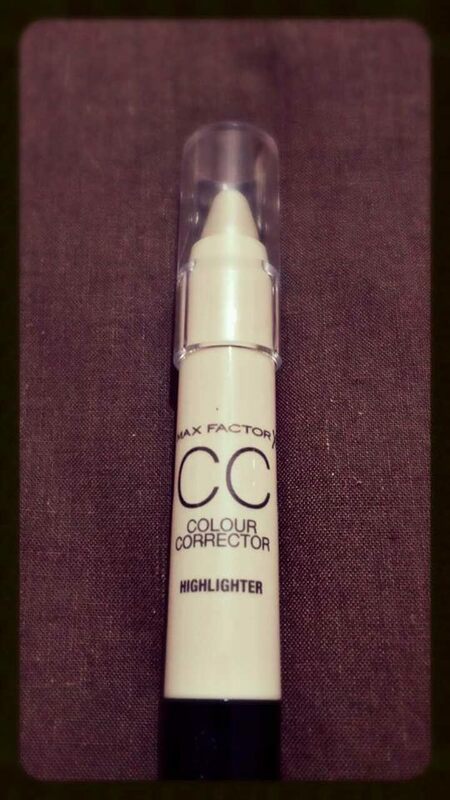 I have only recently found out about the Max Factor CC Sticks, even though they have been released in April 2014. Since I found about them, I came across a lot of reviews all raving about these sticks and since then I have been dying to get my hands on these babies and as the saying goes search and you shall find (doh!). While out shopping, a few week ago, in Main Street, I stopped by the perfumery and I saw them sitting pretty on the Max Factor stand and I was instantly drawn to them. 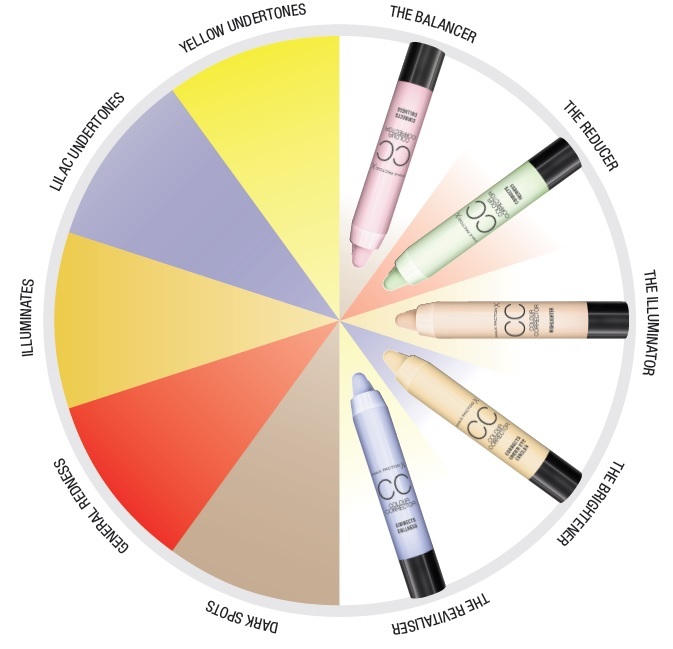 In all there are five sticks: The Reducer (Green), The Revitaliser (Purple), The Brightener (Yellow), The Balancer (Pink) and The Illuminator/Highlighter(Champagne). On this particular occasion I picked up The Illuminator, but I am thinking about getting the whole bunch simply because they look pretty hehe … nah … it is because I could instantly tell that the consistency is very creamy and they all gorgeous. Surely like me you have noticed that the letters CC have been the letters for 2014, we have seen a lot of new CC products being launched. Being a new product on the market there is still a lot of confusion around CC products as to why we need them and how to use them. CC creams are a lighter form of BB creams but are designed to even out the complexion, neutralizing uneven tones in the skin that we generally try to cover up with foundations and concealers. The stick are made of very blendable formula and can reduce redness, counteract signs of fatigue as well as evening out dark spots. All you need to do is identify your concern to find the solution and the above colour wheel here can help find the area of concern. In other words if you get general redness the green stick is your friend. For sallow, yellow or dull areas you need the purple pen. For dark tones often lurking under the eyes, try the yellow one. Have dark spots? Try the pink, and all skin tones can use the illuminator – a subtle highlighter perfect for the high plains of your face. I am not saying so-long to concealer forever, but adding these babies to your makeup collection is not a bad idea and will avoid the over-using of the concelear which sometimes might tend to look a bit cakey – for that more dewy/health look that we all like. As I said there are 5 colours within the collection each designed with its purpose but my review today will be on the highlighter. The best way to get the best effect from the product is to use after your normal foundation to create contours and accentuate your features such as the cheekbone, inner corners of your eyes, your brow bone and cupid bow too if you like. Blend them in with your fingers to help the product connect with your skin. Another thing I liked about the CC stick is the fact that it twists up and you don’t have to sharpen it for that easier application. 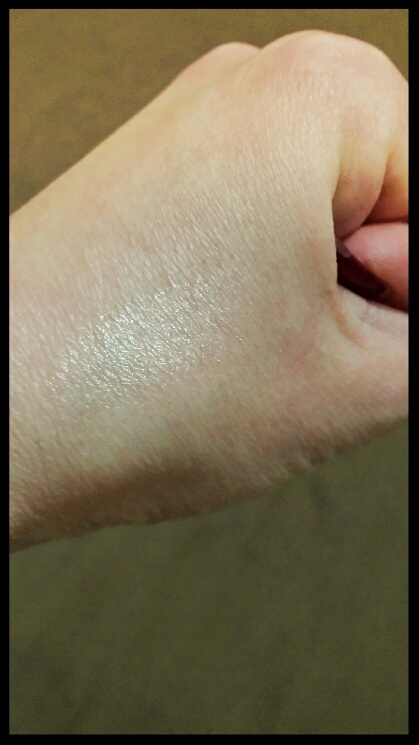 All in all I enjoyed using this product, and is my daily go to highlighter and I love the way it looks on me and truth be told I am looking forward in testing out the other four CC sticks. Disclaimer : This post is my own personal opinion, I bought all the products myself and I am not affiliated with the company. Are bold eyebrows here to stay?